April 4, 2018 marks the 50th anniversary of the assassination of MLK in Memphis Tenn. 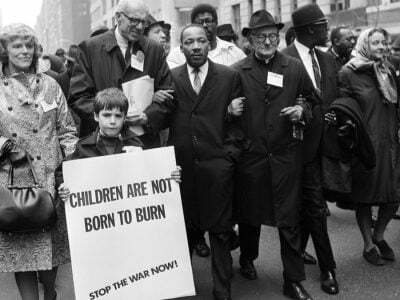 This year also marks the fiftieth anniversary of the martyrdom of the central figure in the movement for Civil Rights and Peace in the United States during the 1960s. Dr. Martin Luther King, Jr. gave his life for the elimination of national oppression, the war policy of the Pentagon and the necessity for the lifting the masses of people out of poverty. His assassination was a by-product of a system built on forced removals of the Indigenous people, the enslavement of Africans and the super-exploitation of workers in general. Today, some five decades later, the presidency of Donald Trump is by no means an aberration within the socio-political context of American history. The dominant choice between Democratic candidate Hillary Clinton and her Republican counterpart Trump during 2016 represented two sides of the same fraudulent process of maintaining the status-quo. As First Lady in the 1990s, Clinton witnessed the criminalization of tens of millions of African Americans and Latinos. The dreaded crime bill, the effective death penalty act and other reactionary legislation would facilitate the growth of the prison-industrial-complex incarcerating even larger numbers of oppressed peoples. Although the myth exists of economic expansion in the 1990s, the growth was illusory in the sense that it empowered the financial institutions which ensnarled many into deeper debt both on a personal and institutional level. The following decade of the 2000s brought about the collapse of the financial matrix designed to maximize profits for the banks, insurance companies and their operatives within the private sector. Millions were subjected to individual bankruptcies, home foreclosures and evictions. By 2008-2009, the working people of the U.S. were forced into paying for a bailout of the same banks and corporations which created the crisis. There was the initial $700 billion Congressional gift to the financial institutions in the fall of 2008. Later came the “restructuring” of two out of three auto firms being Chrysler and General Motors. Moreover, the Federal Reserve Bank forwarded trillions to the banks after 2008 with the explicit purpose of saving and fortifying international finance capital. As a result of this process wages fell, homes were lost and many municipalities suffered from drastic declines in services, the lay-off of teachers and closing of schools, along with a heightening of state repression to reinforce the imposed austerity. African American wealth, largely deriving from home ownership, fell by at least 50 percent. Over the last decade there has been no effort by the government or private capital to pay reparations to those affected by the Great Recession of the 2007-2010. President Barack Obama was placed in office at the apex of the crisis to redirect attention back towards the primacy of capital, the racist state apparatus and the war machine. The impoverishment of the African American people remains a major issue requiring immediate action. A precipitous decline in household wealth, real wages and quality of life is framed by the government and corporate media as prosperity and stability. This scenario is being challenged with the stark reality of rising racial and class tensions in the U.S. and the escalation of a war being carried out both domestically and abroad. Dr. King saw the situation clearly when in 1966 the Southern Christian Leadership Conference (SCLC) took its campaign to Chicago and later Cleveland the following year. It is this aspect of the Civil Rights movement which is routinely overlooked by the establishment which heaps false praise on the leader after he was brutally isolated and assassinated at the aegis of the racist state. Such observations and the interventions by the SCLC and the Student Nonviolent Coordinating Committee (SNCC), which came out in opposition to the Vietnam War a year prior to Dr. King, that set the stage for the assassination on April 4, 1968 in Memphis. Documents from the Federal Bureau of Investigation’s (FBI) Counterintelligence Program indicates clearly the preoccupation with the African American movement from the proponents of nonviolent direct action such as Dr. King all the way to advocates of urban rebellion and revolutionary warfare. From the summers of 1963 to 1968 well over 300 rebellions erupted in various areas throughout the U.S. from the West coast to the East as well as the South. In 1966-67, rebellions took on a more militant and politicized character prompting Dr. King to call for mass civil disobedience in the Northern cities particularly in Washington, D.C. on the questions of jobs and income. This was the basis of the Poor Peoples Campaign which was being organized when Dr. King was assassinated on April 4, 1968. This year there are plans to revive the Poor Peoples Campaign with direct actions scheduled for 25 different states beginning in the spring. With the best of intentions for this movement to remain nonviolent as Dr. King desired in 1968 may not necessarily be enough to contain the indignation of the masses. After Dr. King was assassinated in Memphis, while working in solidarity with an African American sanitation workers strike which represented the emerging phase of the Civil Rights and Black Power struggle encompassing profound class implications, rebellions broke out in approximately 125 cities around the U.S. The largest of these acts of resistance occurred in Washington, D.C., Chicago and Baltimore. 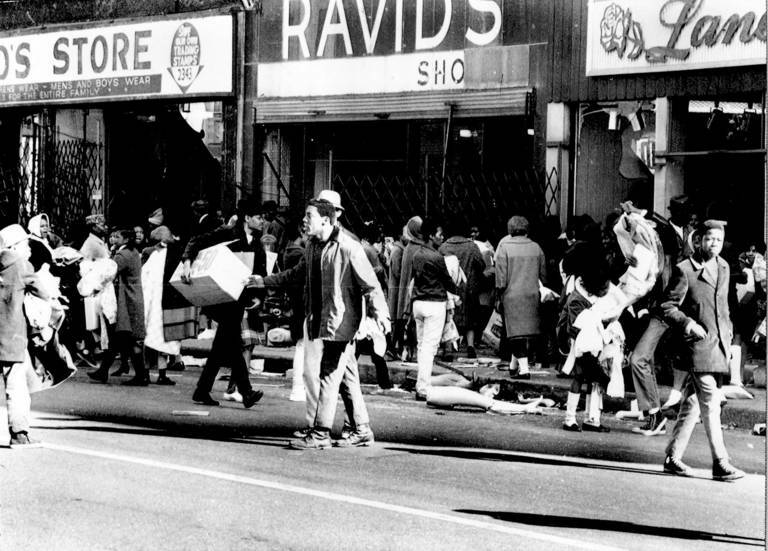 The previous year, 1967, it was Newark on July 12 and Detroit on July 23, which ushered in a renewed phase of urban unrest which changed the direction of the African American Liberation Movement along with a reshaping of state repression which exists well into the 21st century. Out of the ashes of Newark, Detroit, Milwaukee and other cities emerged an armed revolutionary current which portends much for events of today. Although the U.S. capitalist and imperialist system may appear to be strong in light of the indices emanating from the stock market and the Department of Labor, the contradictions between Black, Brown and White are reaching unprecedented levels. The gap is widening juxtaposing the rich and poor where the working class is exploited at unprecedented levels. Lessons are to be learned from the events of 1968. It is essential to study these historical developments in order to devise new methods of struggle aimed at the empowerment of the people over the forces of oppression and exploitation.